What's New in the Mazda CX-5 2018 Model? What’s New in the Mazda CX-5 2018 Model? Working as the middle brother, the Mazda CX-5 still remains incredibly popular. Slotted between the sporty and stylish Mazda CX-3 and the tough and formidable Mazda CX-9, the midsize crossover Mazda CX-5 SUV offers a unique SUV experience. 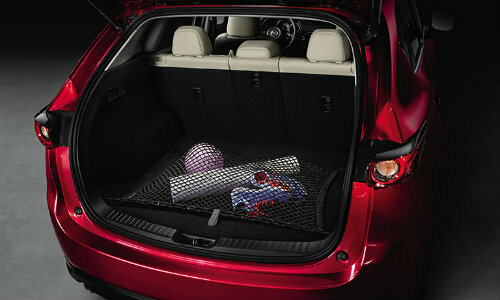 Just the right amount of space is fit into a stylish ride. Never feel that you have too much space, and never feel that you don’t have enough. The 2018 Mazda CX-5 fits every and all occasion, having the features to solve any problem you might have when traveling on the road. The Mazda CX-5 is the last of Mazda’s commercial vehicles to release their 2018 model to the American market. While the 2018 Mazda CX-5 isn’t a redesign, functioning mostly as a carryover for this year, this crossover SUV still manages to bring some new features and adjustments to the new year. Here at Marketplace Mazda, we take a look to explore and discover what the 2018 Mazda CX-5 brings to its new year model. The 2018 Mazda CX-5 holds the same 2.5 L inline 4 engine. This would make you assume that its engine specs and performance stats wouldn’t change at all. However, great implementation and retooling have allowed this carryover engine to slightly improve fuel economy and torque. The 2017 Mazda CX-5 had a combined fuel economy of 27 and 185 lb-ft of torque. The 2018 Mazda CX-5 bumps it up to a combined fuel economy of 28 and 186 lb-ft of torque. This wouldn’t seem like much, except for the fact that the 2018 Mazda CX-5 has an MSRP of only $105 more than the 2017 Mazda CX-5. Why settle for less with such a small increase in cost? Over its 2017 model, you’ll find more improvements in features than specs for the 2018 Mazda CX-5. Plenty of new technology for convenience, safety, and driver assistance features have been added and updated for this 2018 crossover SUV. Some of these features include forward-collision warning, automatic headlights and high beams, i-ActiveSense® safety, rain-sensing windshield wipers, and many more helpful electronic applications. What’s the Difference Between the CX-3, CX-5, and CX-9 SUVs? You can find the 2018 Mazda CX-5 available for purchase here at Marketplace Mazda. We have its Sport, Touring, and Grand Touring trim levels in stock. Additionally, we encourage you to explore our inventory to find the whichever Mazda model is the right option for you. Marketplace Mazda is located in Rochester, New York within Monroe County. Stop by our dealership today or give us a call. Our sales team is always ready to give you the very best high-quality customer service. Getting you the information you need is what Mazda does best! This entry was posted on Thursday, January 11th, 2018 at 3:38 pm	and is filed under Mazda CX-5, New Vehicles. You can follow any responses to this entry through the RSS 2.0 feed. You can skip to the end and leave a response. Pinging is currently not allowed.